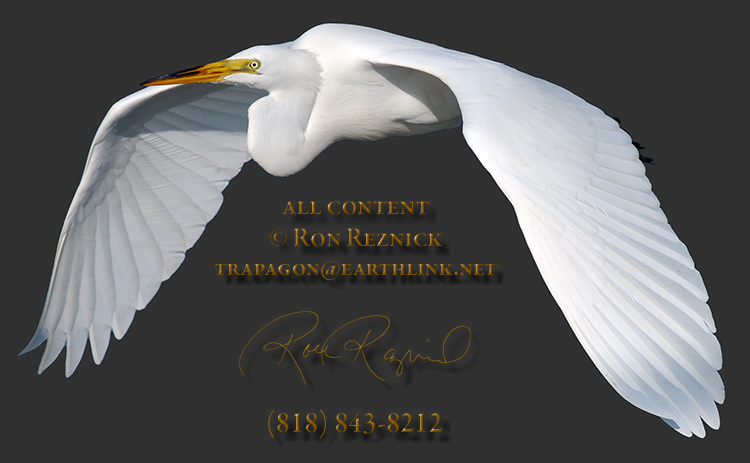 Click a Display Composite to visit the page. 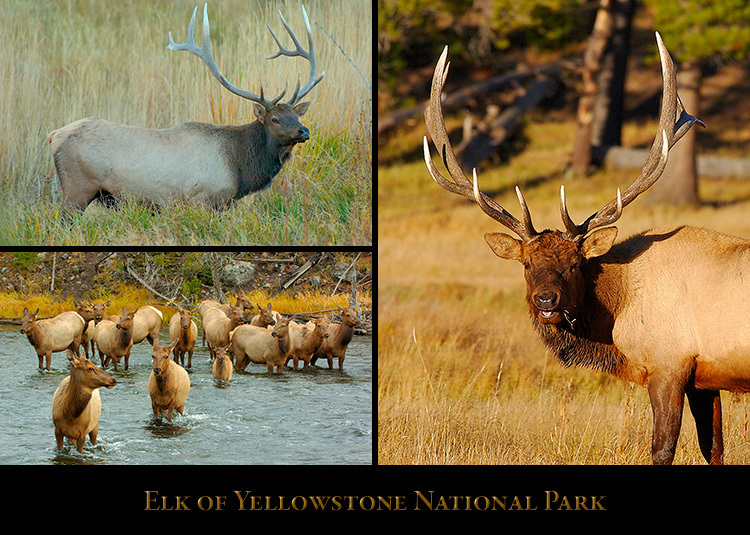 The Banner below leads to the Elk Collection where a Gallery can be selected. 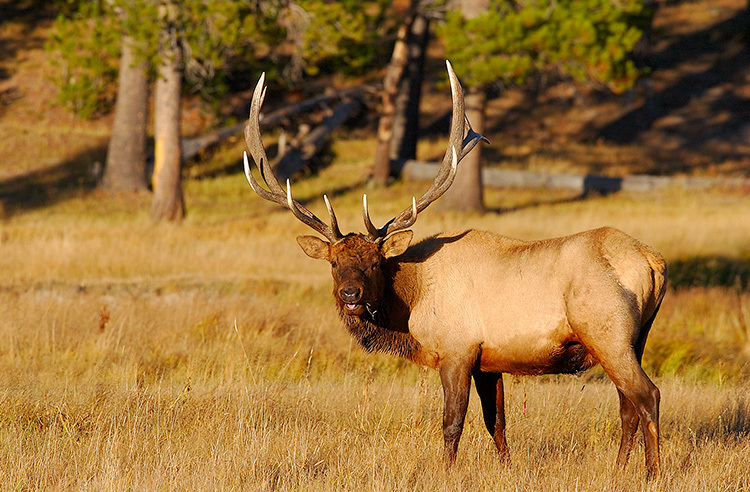 Charger smiles for the camera in the large meadow near the ranger station at Norris Junction. 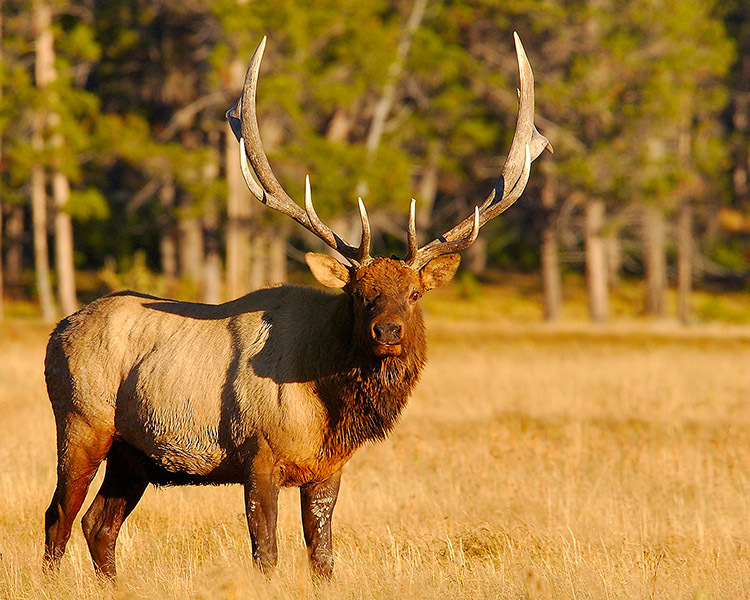 who lived in the area until 1993, and for his habit of charging at tourists who approach too close. A 1200 x 1600 image of Charger bugling during a close approach at sunset. 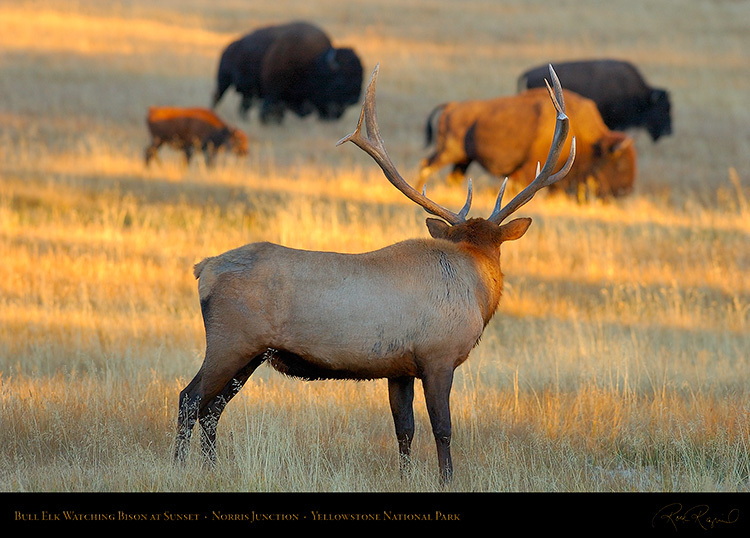 Charger watches a small group of bison escorting a calf through his meadow at sunset. Charger’s Last Huzzah, raising his majestic head and bugling as the sun drops below the horizon. 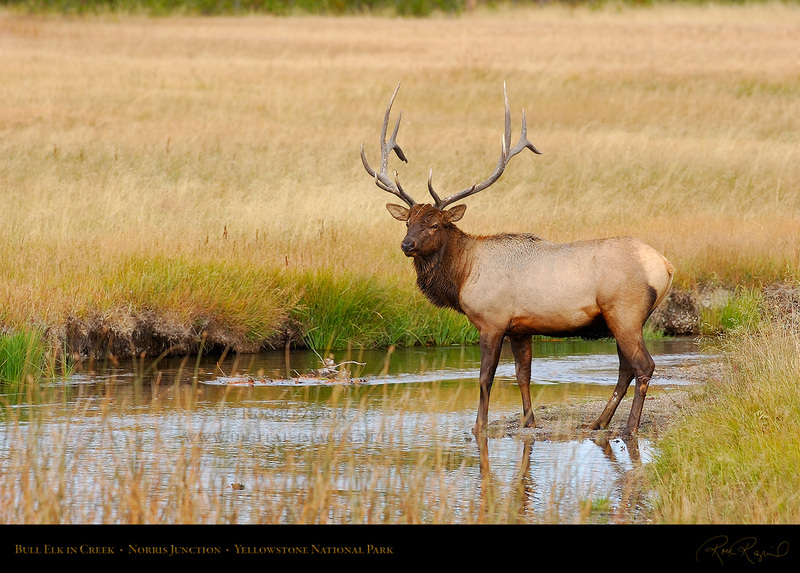 Charger posing in a tributary creek of the Gibbon River near Norris Junction in Yellowstone National Park. 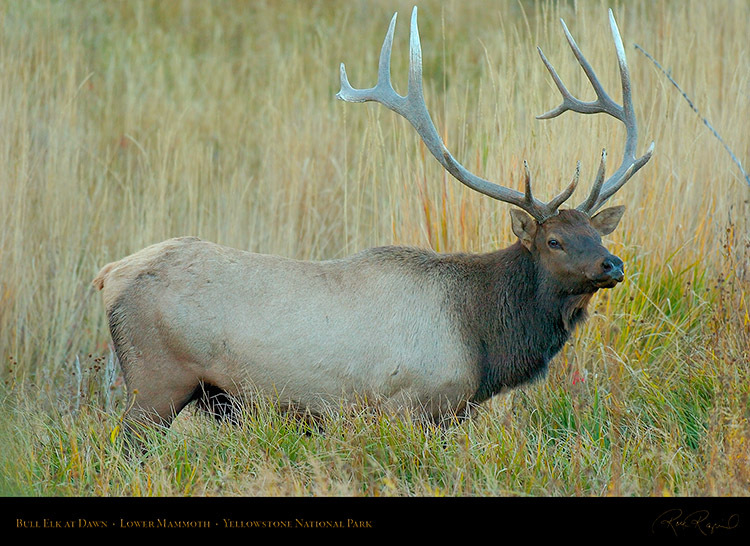 Charger stands over one of his cows in the large meadow at Norris Junction in the late morning. 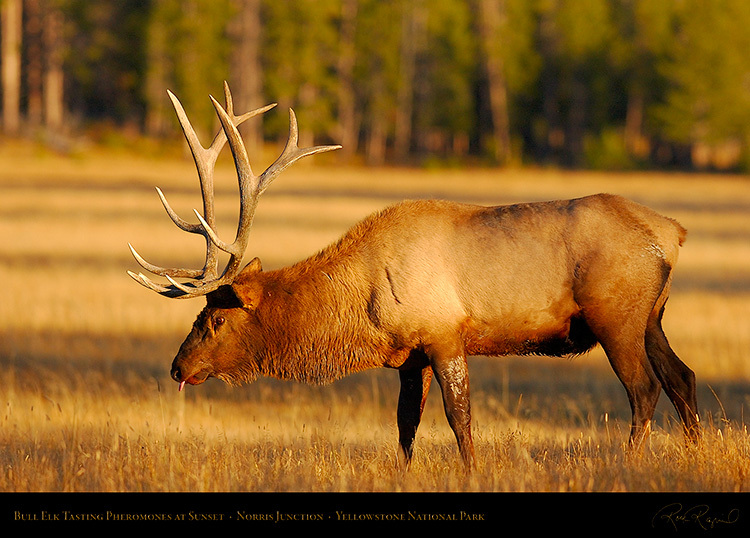 Charger strikes a majestic pose in the southern end of the large meadow at sunset. 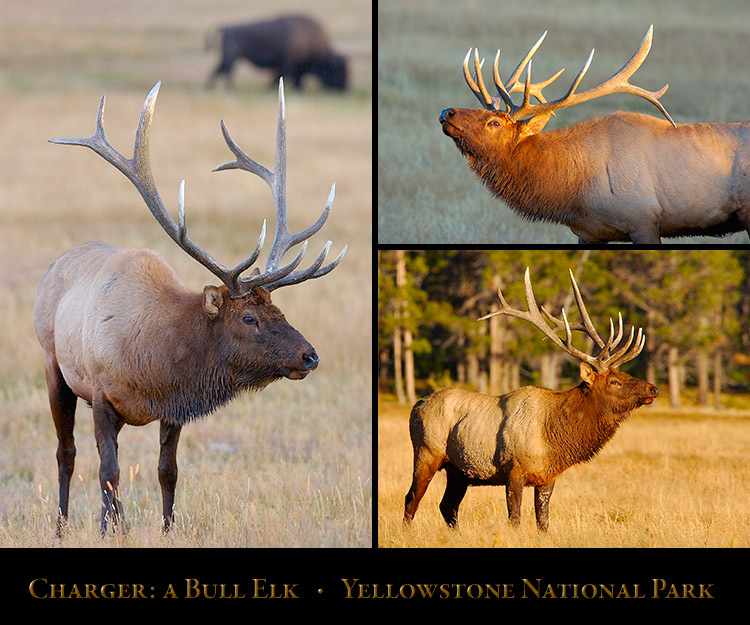 Click the Display Composite above to visit the Charger: a Bull Elk of Yellowstone page. 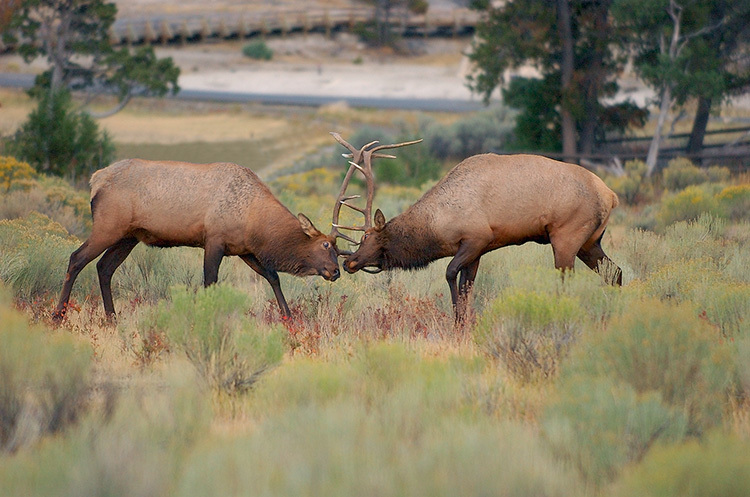 Two bull elk spar for dominance at dawn, during the September rut in Mammoth Hot Springs. 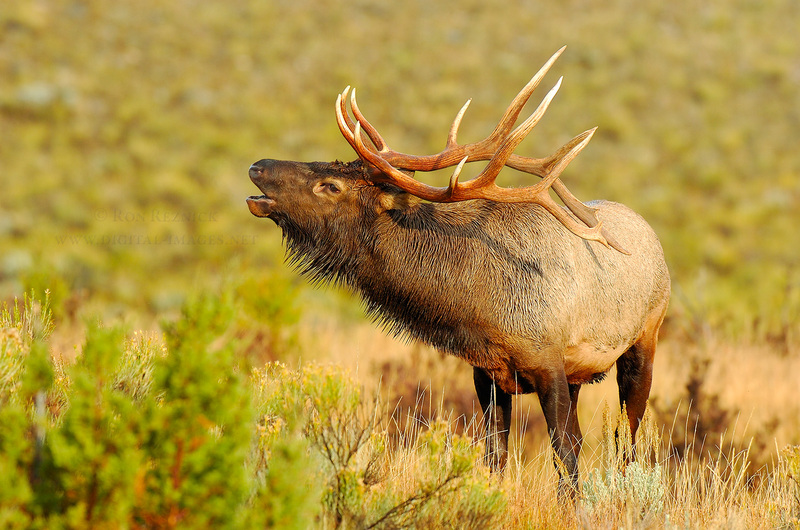 A bull elk poses for the photographer at dawn in the hills southeast of Lower Mammoth in Yellowstone. 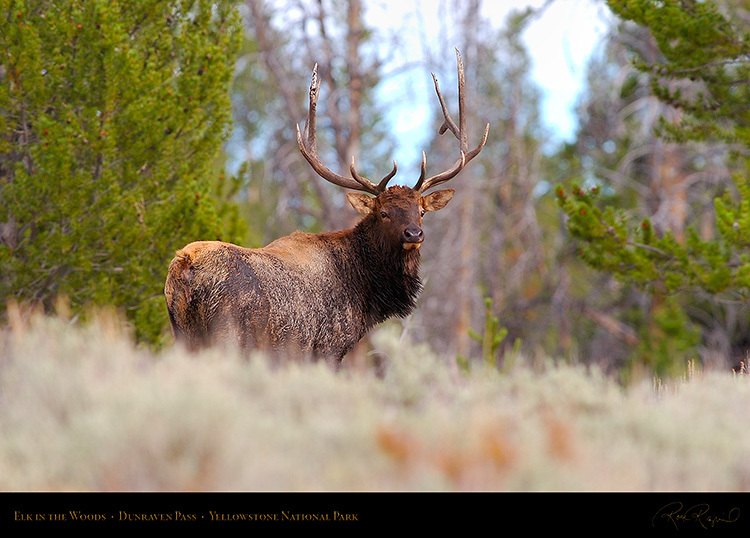 in the hills southeast of Lower Mammoth in Yellowstone National Park. 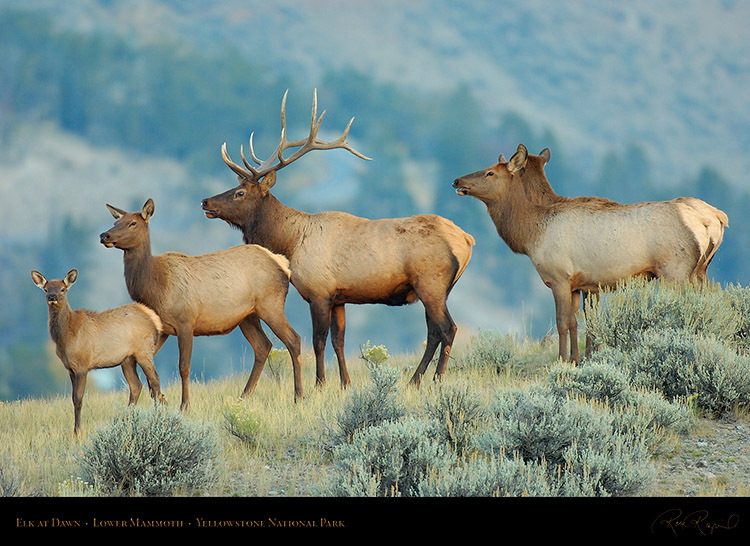 A bull elk poses at the top of a hill with cows and a juvenile at dawn in northern Yellowstone. A bull elk drives his harem across a valley at sunrise in the hills southeast of Lower Mammoth. 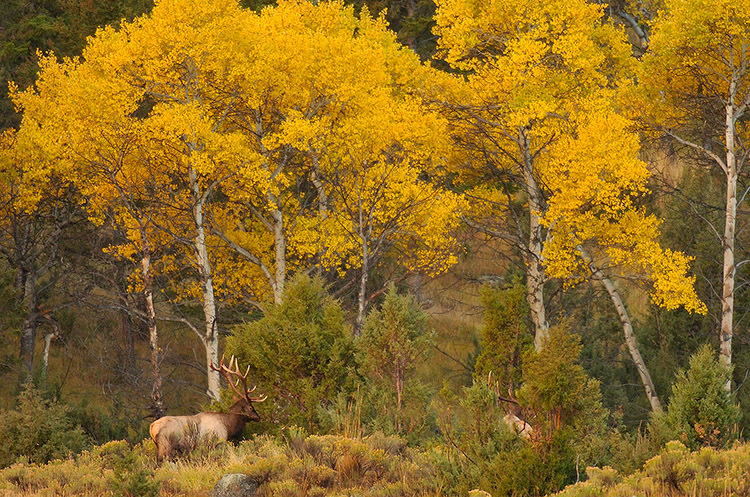 Bull elk in the cottonwoods at dawn, in the Lower Mammoth area of Yellowstone National Park. 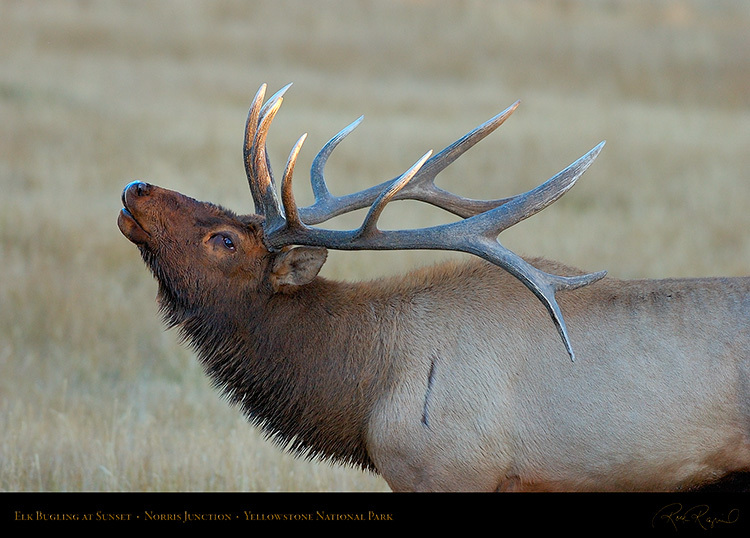 A bull elk bugles at sunrise in this close portrait taken in the Lower Mammoth area of Yellowstone. 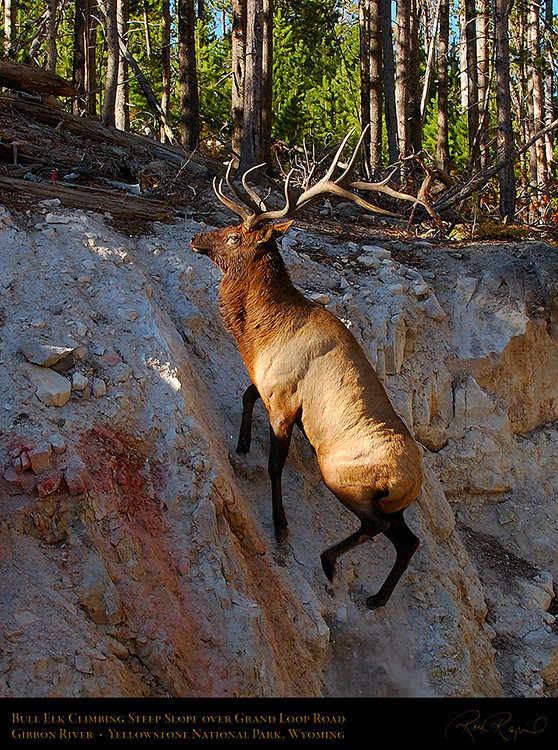 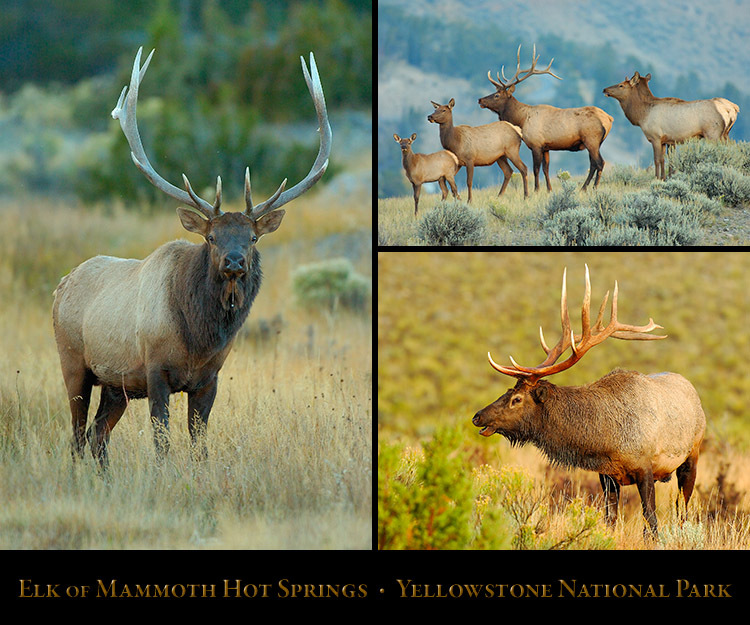 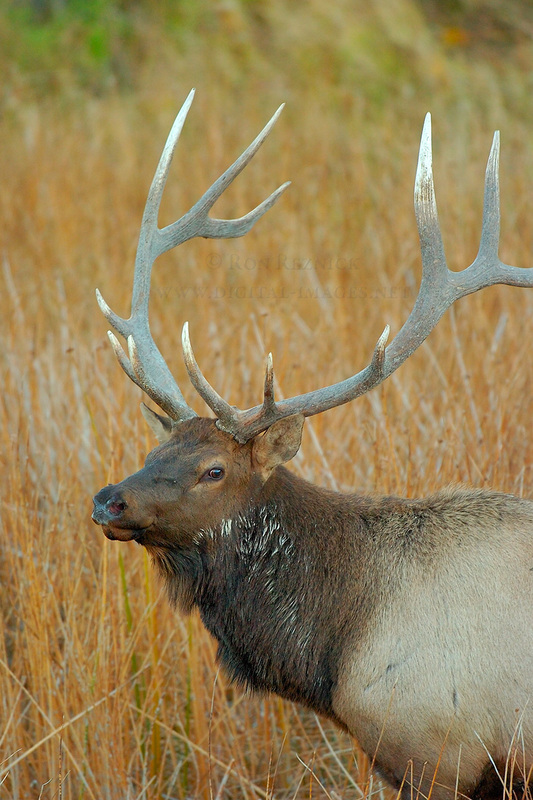 Click the Display Composite above to visit the Elk of Mammoth Hot Springs page. 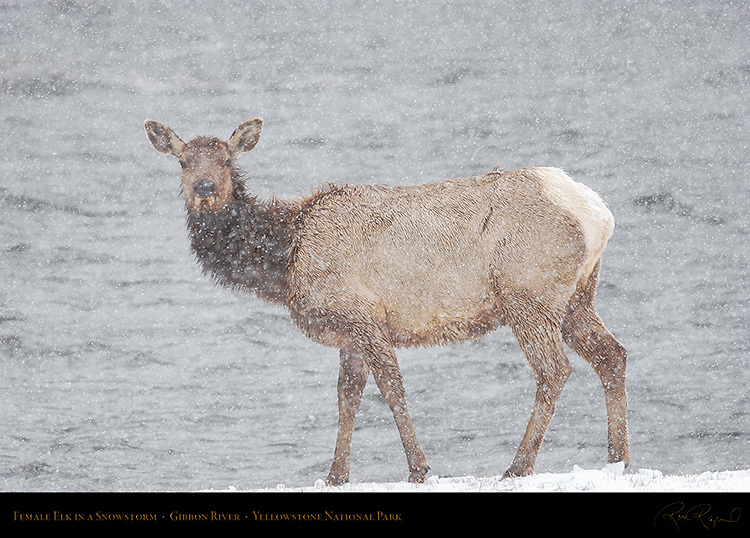 A female elk peers at the photographer through a late April snowstorm on the Gibbon River in Yellowstone. A bull elk poses for a mid-afternoon portrait at the edge of the woods in the Dunraven Pass. 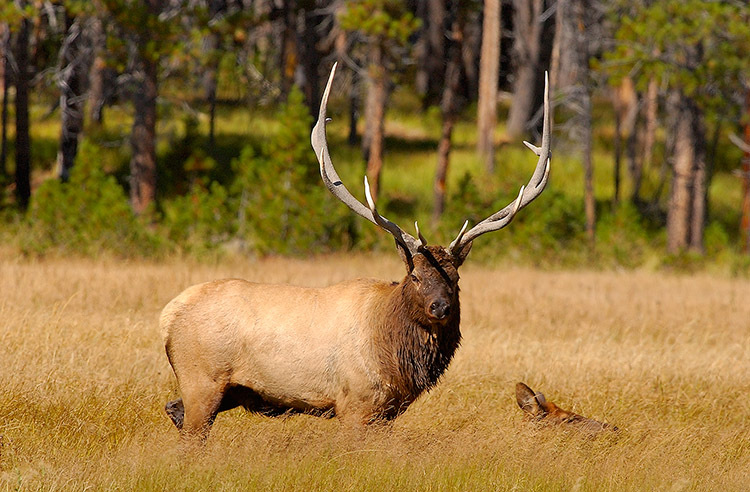 A female elk assumes the posture of a juvenile asking for food as the bull elk approaches with some grass. 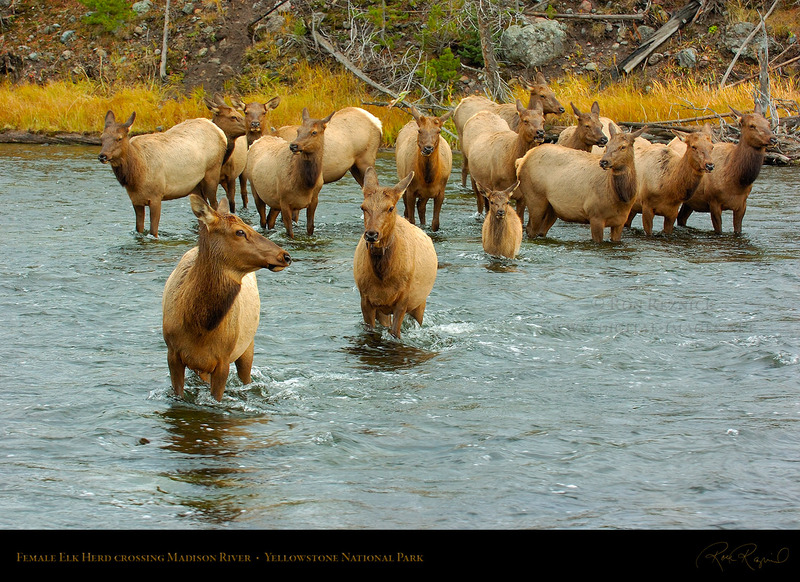 Grand Loop Road, above the Gibbon River in Yellowstone National Park. 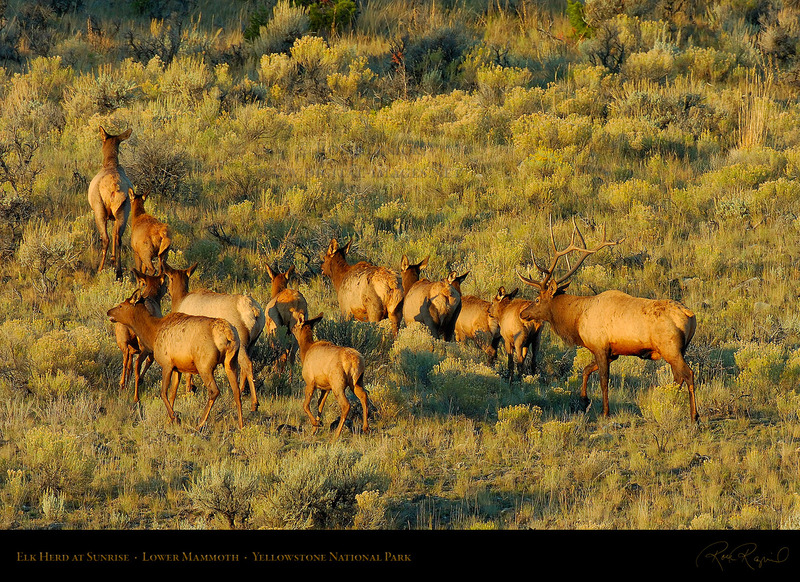 A herd of female elk and a juvenile cross the Madison River in the late afternoon. 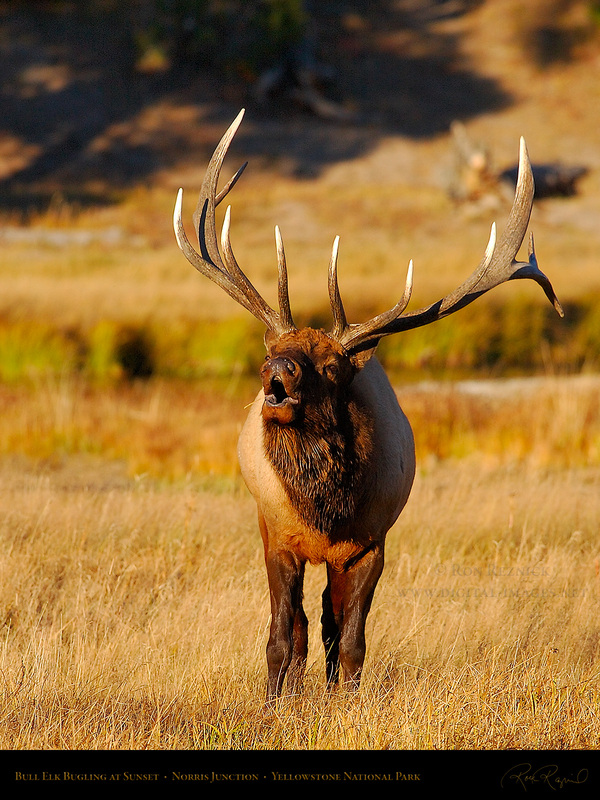 Charger stares down the photographer in this 600mm telephoto portrait taken at sunset. A 300mm close portrait of Charger tasting estrus pheromones at sunset. 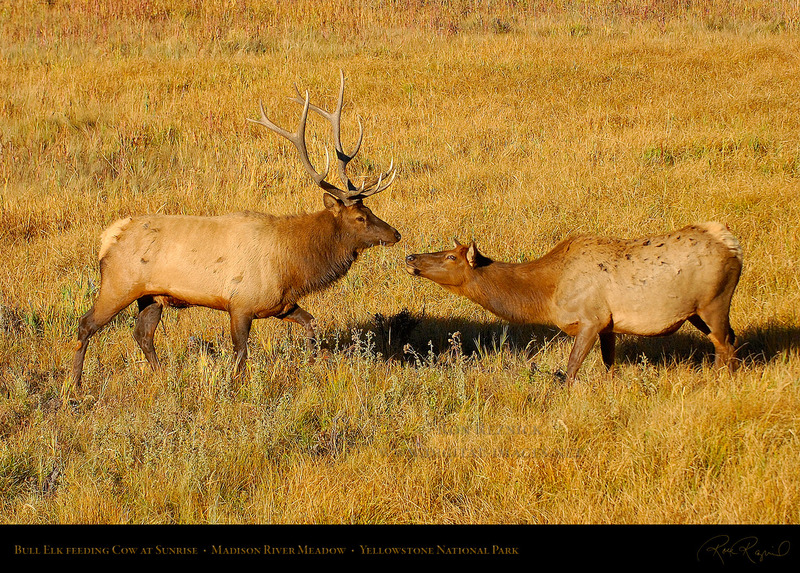 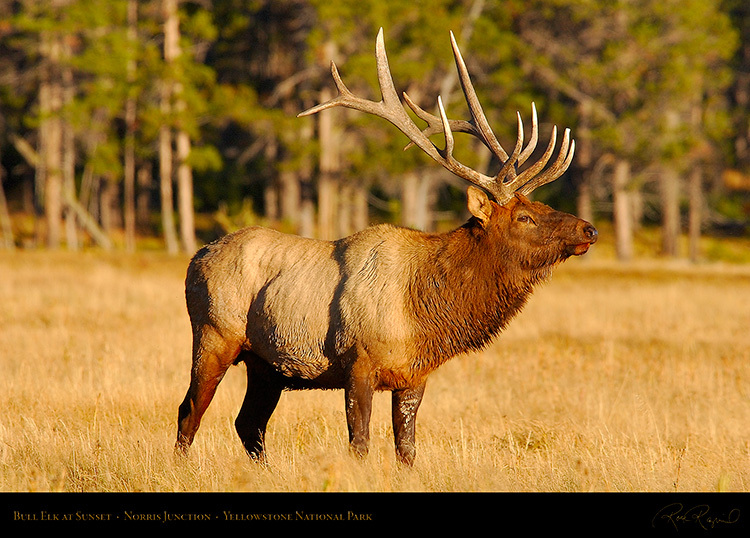 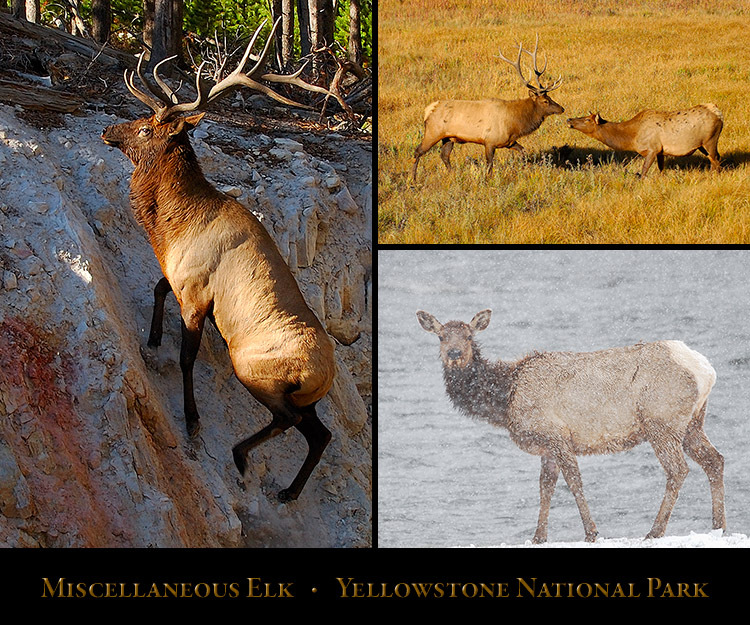 Click the Display Composite above to visit the Miscellaneous Elk of Yellowstone page.